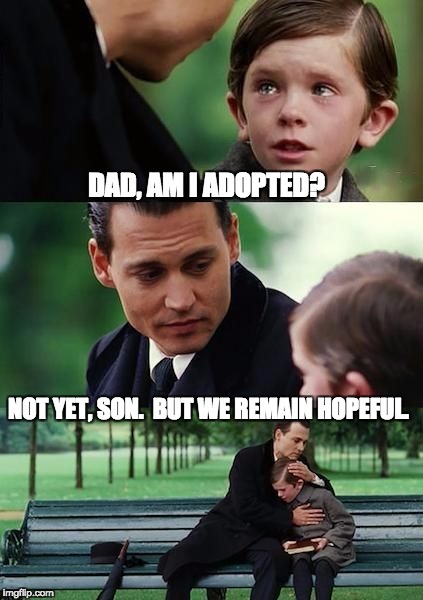 DAD, AM I ADOPTED? NOT YET, SON. BUT WE REMAIN HOPEFUL.